Put yourself on The Nice List! Thank you for your interest in The Nice List and for helping to spread the word about The Nice List! This page contains images, captions, and information which you can use on your site or social media feeds with proper attribution. Please don't hesitate to ask if you have questions, too! Increase the joy and eliminate the stress of gift giving! Bound in red vegan leather with a gold-embossed cover, The Nice List is part journal, part planner, with budgeting tools, places to make lists, and an entire system for allocating the right amount of both time and money for each gift given. The Nice List contains tips and tricks for getting Christmas shopping done on time and on budget. It also includes blank, gridded, and lined pages for journaling, scrapbooking, or even just list making as well as weekly and monthly calendars for November and December, 2018. “If you use The Nice List tools, you’ll have a happier, less stressful Christmas season,” says Nickerson. 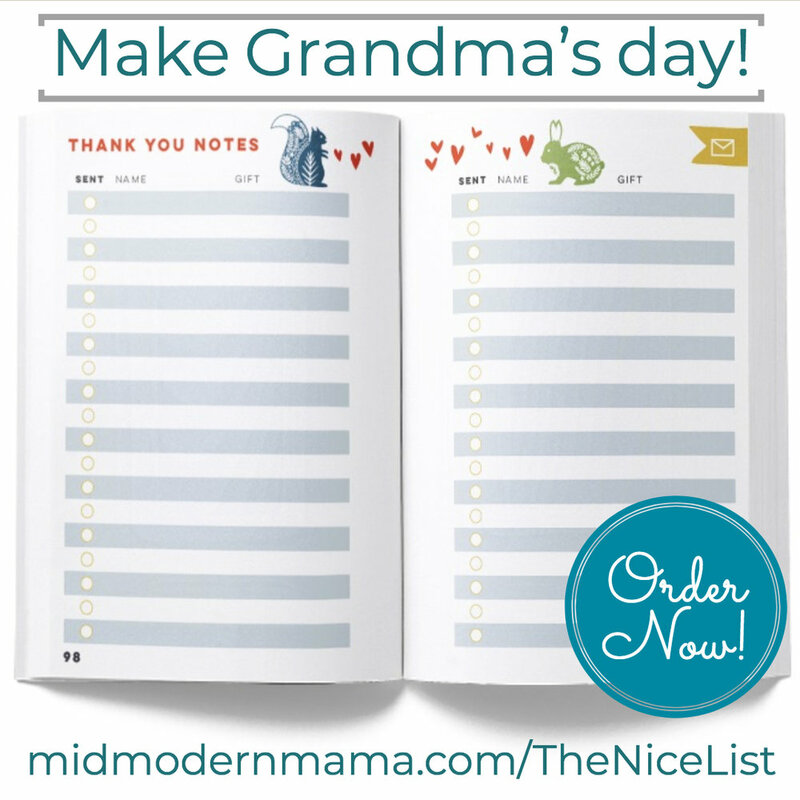 The Nice List can be ordered on MidModernMama.com before September 21, 2018. Books will be delivered in early November. Once upon a time, author Angela K. Nickerson jetted off to Europe every few months -- writing about her jaunts and escorting small groups of travelers through the bustling streets and glorious museums of Europe’s best destinations. But then Motherhood happened, and with a two-career family, the far-flung travels became less frequent. Now a Colorado resident, Angela started Mid Modern Mama as a creative space with a wider scope. She writes about travel for sure, but she is currently focused on dragging their newly-purchased 1958 Atomic Ranch home into the 21st century. The 80’s threw up all over this Mid Modern gem, but Angela and her architect husband are determined to restore its original charm and character always remembering that theirs is a family home, not a museum piece. Angela still loves to travel, but this Mid Modern Mama is also writing about what’s happening when she is at home, too. 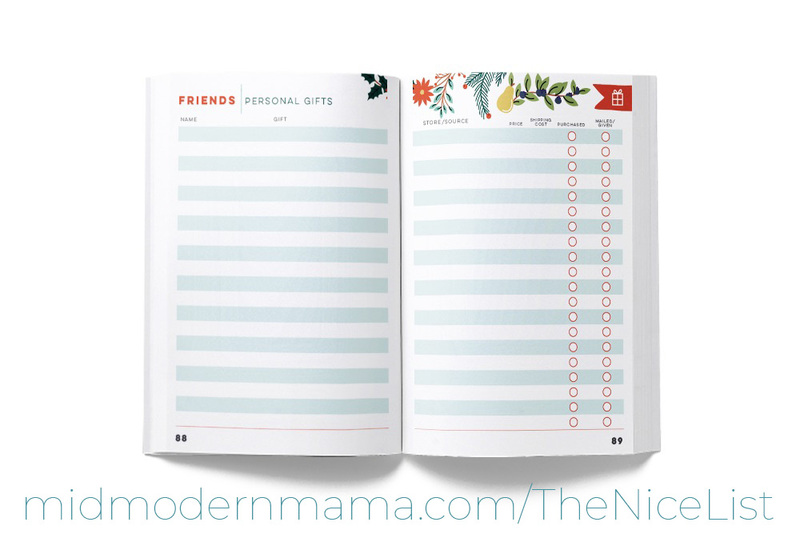 From home improvement projects to new modes of journaling, photography, sewing, and organizing, MidModernMama.com reflects the fullness of a creative life. The Nice List is Angela’s third book, and her first published journal. Images: may be downloaded from this page. Please use the corresponding captions! Feel free to add your own! Pre-Order The Nice List Now! 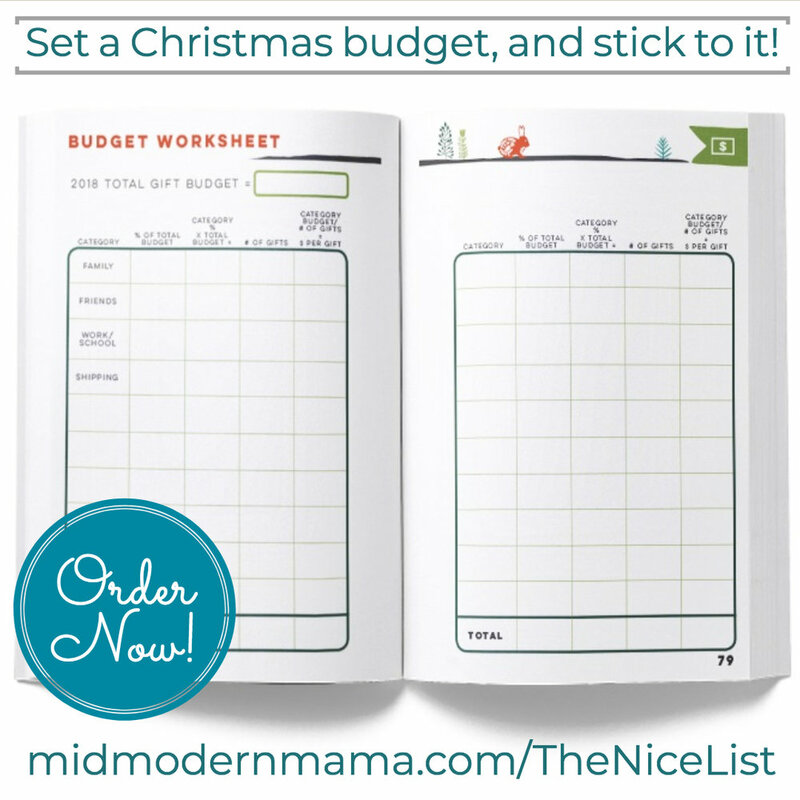 The Nice List is an easy-to-use Christmas gift-giving planner which helps you get organized, save money, and give better gifts. 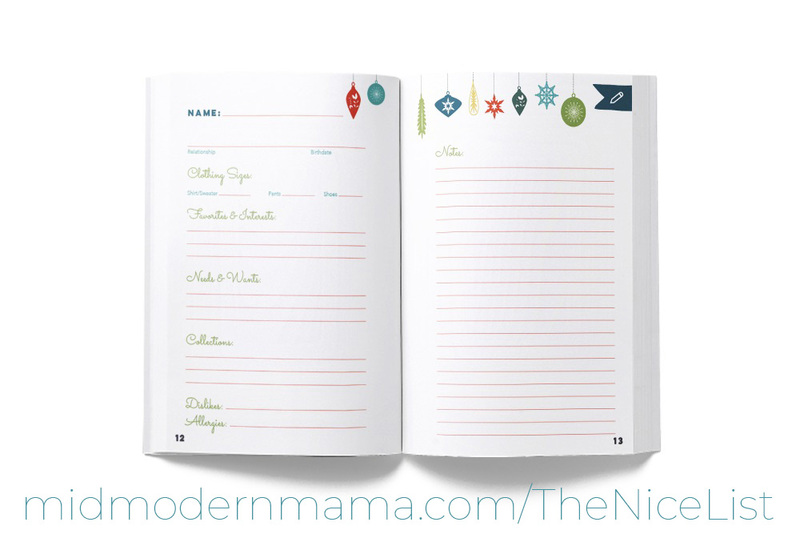 And the Nice List helps you keep track of the gifts you give year after year -- so you never give the same gift twice unless you intend to do it! You have until September 21 to pre-order your own copy of The Nice List! 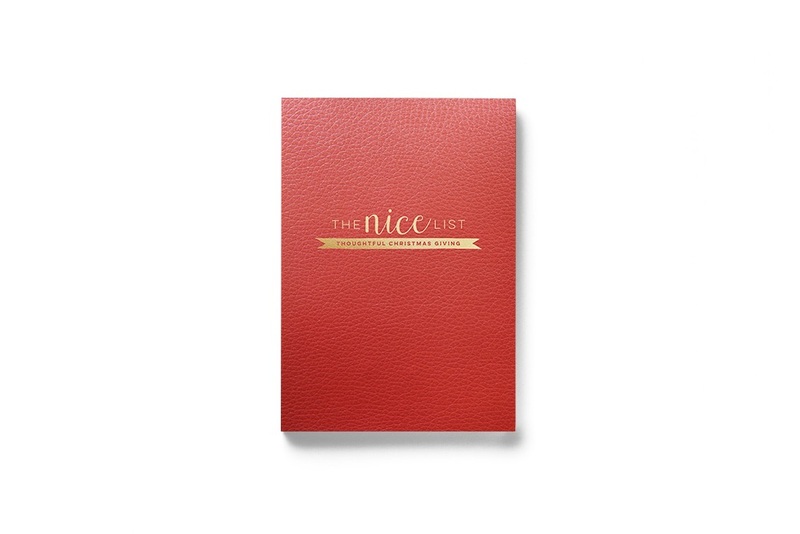 The Nice List will be bound in red vegan leather with tasteful gold embossing on the cover and spine. The Nice List includes thoughtful suggestions for better gift giving as well as thoughts on how to use the journal itself. The Nice List is at its heart a gift-giving system which includes dividing people into three groups and then budgeting per gift. 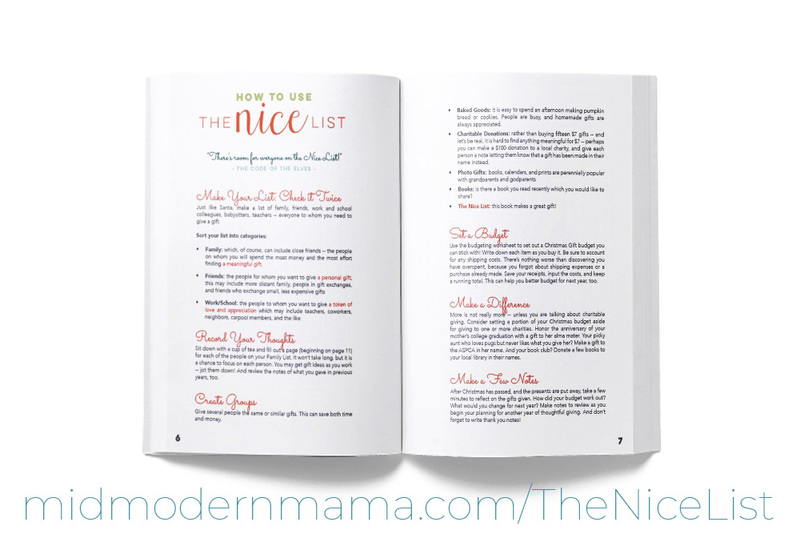 The tools in The Nice List make it all very easy! The Nice List includes both weekly and monthly spreads for November and December, 2018. So you can also keep track of parties, performances, and mailing deadlines as well as baking and shopping. 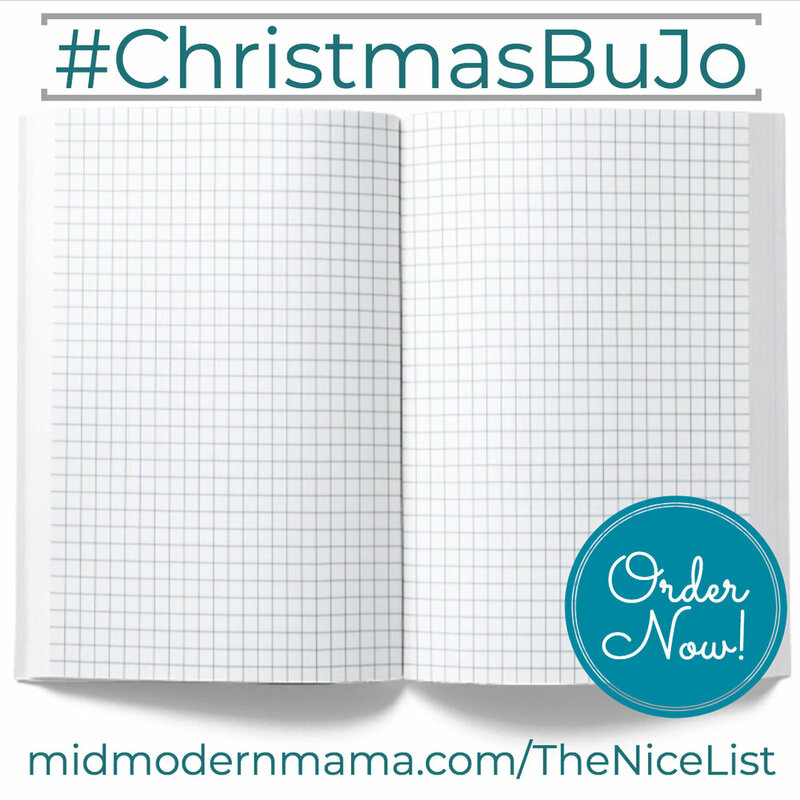 Designed with journaling in mind, The Nice List includes blank, lined, and gridded pages for bullet journaling, art journaling, scrapbooking, or just general list making. Copyright Notice: All materials inclusive of photographs, text, and visual content contained on this site are protected by United States copyright law and may not be reproduced, distributed, transmitted, displayed, published, or broadcast without the prior written permission of Angela K. Nickerson. Copyright 2019. I am a member of a few affiliate programs including Amazon.com. If you purchase something through a link posted on this site, I may earn a small commission. Companies sometimes send me sample products for my consideration. I never recommend something I don’t like myself. Additionally, I sometimes do sponsored posts — a fact which is always disclosed. For more information about my policies, please see A Word about Advertising.